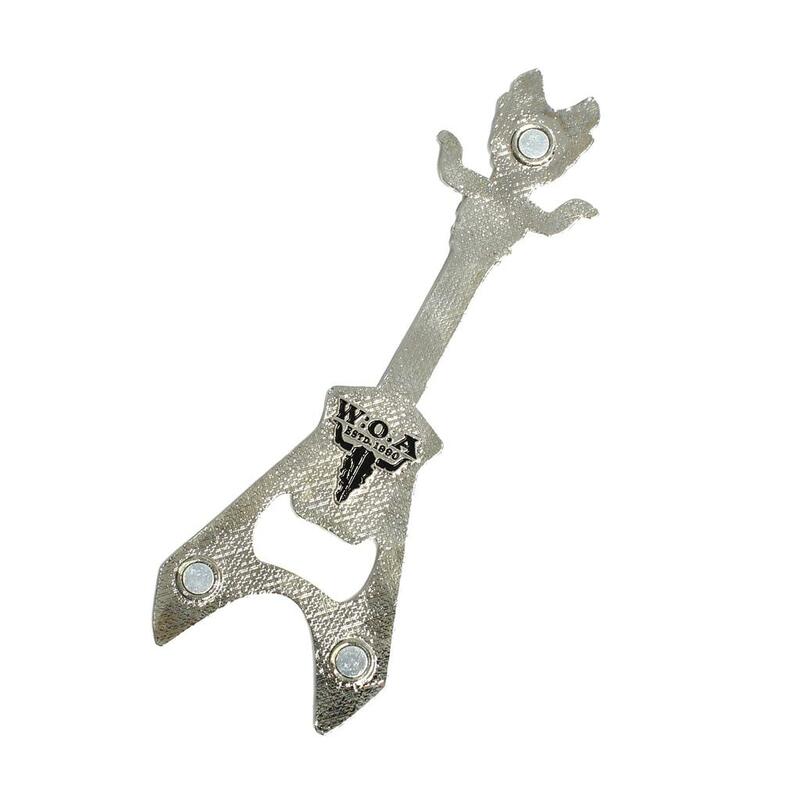 This fabulous magnetic W:O:A guitar-bottle opener is a decorative and useful item. It has a 100% zinc alloy and 3 separate magnets on its backside. 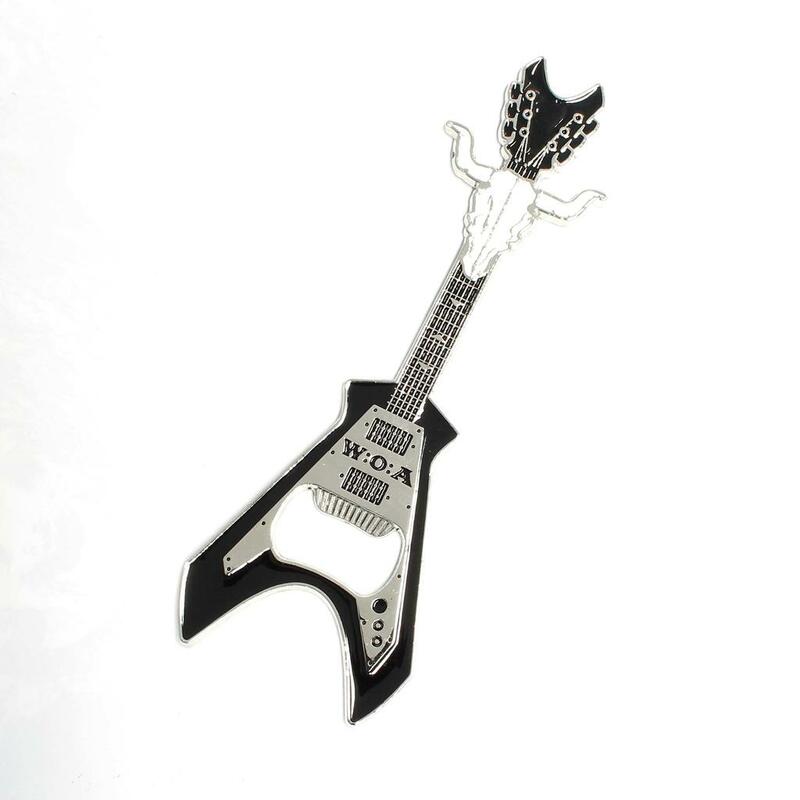 The decorative design with a W:O:A skull on its strings makes it a real eyecatcher. A treasure!